July, August and September 2015.
property price annual price increase will be around the 5% mark. Across Ireland, property prices underwent an overall average asking price increase of 1.8% during Q3 2015. € 312,000, as opposed to € 270,00 across the rest of Ireland. These average price increases mask various individual county price increases and drops, with falls occuring in Carlow, Longford, Offaly, Roscommon, Sligo, Waterford & Wicklow. Compared to new listings, the average asking price is € 205,000 as opposed to the Dublin region where it is € 286,000. 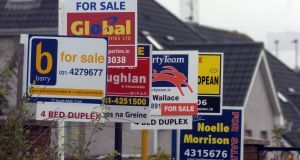 If you look back to this time last year, asking prices for new listings has increased by 6 % across Ireland, compared to the 4.8 % Dublin region increase. 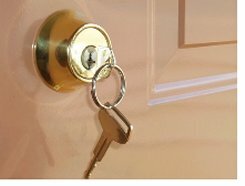 An overall slight increase in the housing stock available for sale. The Central Bank's new lending policy. The fact that on the basis of a median price of € 280,000 for Dublin property, and an average salary of € 46,000, this produces an almost 6:1 multiple of salary to price, which is significantly higher than the European average. In 2015, to the end of July, there were 6,745 house completions and optimistically we may be able to extended that figure to 12,000 to 13,000 new home completions by the end of this year. Tellingly for the future though, this is only around half of the projected 25,000 new houses thought needed to satisfy housing demand in the Dublin region. Daft.ie Property Report: October 2014 to October 2015. The information provided above, based on a recent MyHome.ie property report, is liable to change at any time. 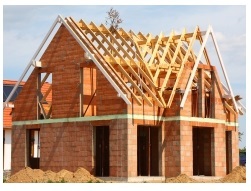 All information supplied by IrishHouses.ie is subject to errors & omissions and does not constitute legal, investment or any other form of advice. Always obtain independent professional advice for your own particular situation.